The Invisible Hand? How Market Economies have Emerged and Declined Since AD 500 (2016) | Moral Markets? enables the reader to take a fresh look at the present debates about the future of capitalism, the effects of inequality, and the relation between wealth and political leverage. "This a beautifully written book, easy to read, which makes it adequate for a wide audience. Above all, it is an original and intellectually challenging piece of scholarly work that breaks new historical grounds. Van Bavel is one of the few scholars alive who is equally an expert on history, economics, politics. This characteristic enables him a truly subtle analysis of texts and ideas. [....] Van Bavel’s book is full of new information, ideas and food for thinking thought. (We have already enough calculating thought in economics). As such, this book is going to be a vital contribution to the advancement of economic discourse as well as a crucial intervention in current political debate." "The response to the crisis by free-market advocates most typically ran along these lines: Yes, the crisis was bad, but it was the result of crony capitalism, not of true free markets. [...] Van Bavel’s work provides a very important counter-response: True, but free markets produce crony capitalism, like an acorn produces and oak tree. 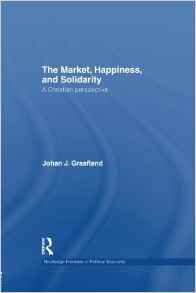 [...] The moral principles that market advocates often posit as counterbalances to the rise of crony capitalism are also ruled out in van Bavel’s analysis, as traditional norms and institutions see their power sapped by the market. 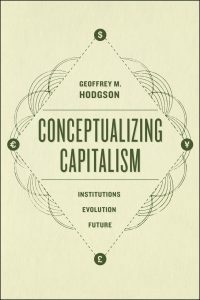 [...] A brief review such as this cannot do justice to wealth of material in this important new book, other than by noting that anyone interested in these issues should not miss it"
Economists should read the book’s conclusion first. Indeed, for someone who is not opposed to the idea of stylized facts and would rather skip the intricate detail, it might be useful to think of Van Bavel’s contribution as an engaging thirty-seven page concluding chapter, preceded by a 50-page meticulous historical prologue. The conclusion, indeed, is the only place in the book where the theoretical apparatus underpinning the argument is presented as a coherent whole. [...] No other economic system has consistently delivered the economic growth and increased quality of life that markets brought throughout history to societies the world over. While the book is definitely written from a glass-half-empty perspective, it is certainly possible to read it with a half-full glass in mind." 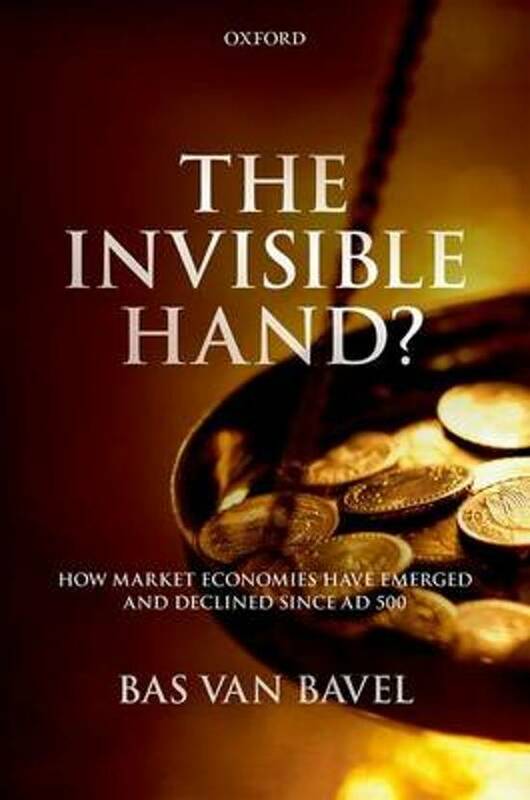 The Invisible Hand offers a radical departure from the conventional wisdom of economists and economic historians, by showing that 'factor markets' and the economies dominated by them — the market economies — are not modern, but have existed at various times in the past. They rise, stagnate, and decline; and consist of very different combinations of institutions embedded in very different societies. These market economies create flexibility and high mobility in the exchange of land, labor, and capital, and initially they generate economic growth, although they also build on existing social structures, as well as existing exchange and allocation systems. 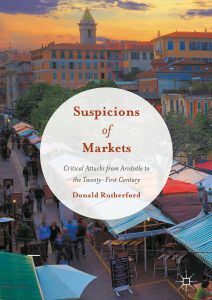 These areas successively saw a rapid rise of factor markets and the associated dynamism, followed by stagnation, which enables an in-depth investigation of the causes and results of this process. Parallels are drawn to England and the United States in the modern period. 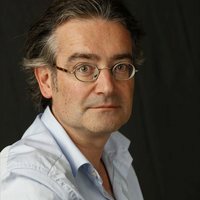 Bas van Bavel is distinguished professor of Transitions of Economy and Society at Utrecht University. He acts as the academic director of the Utrecht University interdisciplinary priority area — Institutions for Open Societies — and he is a member of the Royal Dutch Academy of Sciences. His research activities focus on reconstructing, analyzing, and explaining economic development and social change, emphasizing long-term transitions and regional diversity, and using comparative analysis — both over time and across regions — as the main tool. More specifically, he aims to find out why some societal arrangements are successful in generating wealth, equity and resilience, and others not, and what drives the formation of these arrangements.